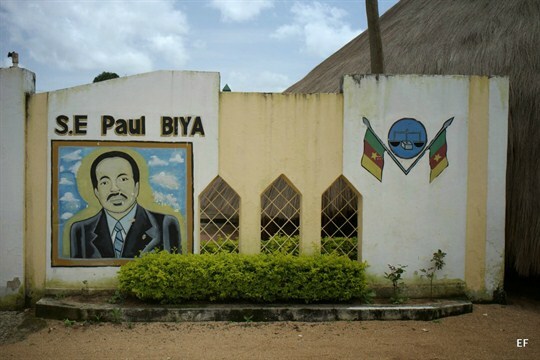 A mural depicting Paul Biya at the palace of a traditional chief, Ngaoundere, Cameroon, September 2013 (Photo by Emmanuel Freudenthal). In this week’s Trend Lines podcast, WPR’s editor-in-chief, Judah Grunstein, and managing editor, Frederick Deknatel, discuss rising tensions and the risk of conflict between the U.S. and China. For the Report, Emmanuel Freudenthal talks with WPR’s senior editor, Robbie Corey-Boulet, about why the situation in Cameroon’s Anglophone region is a greater threat to President Paul Biya’s grip on power than the country’s presidential election this Sunday.